Ok, you're finally stepping out on your own. And if you're like most adventuresome-though-anxious entrepreneurs, you're starting small and spending sparingly. But no matter how modest your company or your capital, you still need some essential tech tools, especially if you hope to compete in this age of wireless networks, mobile devices and next-gen displays. And while these wonder products have the potential to help you make money, they also can eat up valuable time and energy as you shop for them, install them--and learn how to use them. Oh, yes, then there are the prices. Ouch! Yet there's never been a better time to buy all sorts of entry-level gadgets and services on a budget. Keeping value, quality, time and style in mind, we present here our Top 10 picks guaranteed to make every budding captain of industry look like a top pro from Day One. Be warned, though: None of them will slay the startup dragons you'll face in the coming days. But this starter kit of artillery will significantly boost your odds of making it out alive. It all begins with a good computer, and we have been mighty impressed with Acer's new TimelineX series--specifically the 4820T--as the startup computing weapon of choice. Done in a handsome, small-business-ready, black-brushed aluminum, this beauty is less than 1-inch thick and weighs in at a lumbar-friendly 5 pounds--power cords and accessories included. Beyond its good looks, the TimelineX offers real productivity oomph. The Intel Core i3 processor, 4GB of memory and 320GB hard drive mean that, assuming you don't go overboard with full-motion video, the TimelineX can handle even power-hungry, graphics-intensive apps in desktop mode. You will miss the high-power performance of being fully plugged in, but this unit sports somewhere close to an eight-hour battery life in full power-saving configuration. Nifty. Your next critical investment is a solid outboard monitor that helps de-stress your neck, back and eyes as you work. 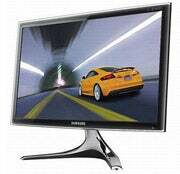 Samsung is our choice for monitor of the moment. It's one of the few screen vendors that makes its own displays. And the value comes through in its luxe 50 series monitors. 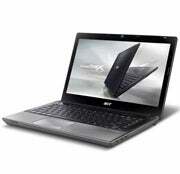 Though you can go up to 24 inches, the 20-inch model offers a startup the best value for the money. At a scant 19mm thick, the 50 series has a reasonably good-looking 1000-to-1 contrast ratio, very fast 2 MS response time and some nice touches, like two HDMI inputs. You will not mistake this unit for a first-quality HDTV, but at $299 you'll be more than satisfied. For basic business use, this baby looks great both turned on and off. Now that you've got your perfect computer set up, you'll need the best way for it to connect across your growing office. Rather than waste time and money installing Ethernet cables, save a small fortune and a big construction mess and run this dual-band wireless media router from Belkin. Though aimed squarely at the HighDef TV and gaming set, the Belkin Play is a serious small-business tool: It offers state-of-the-art MIMO coverage for unparalleled connectivity in radio-wave-polluted, crowded buildings and homes. (That microwave oven in your kitchen truly is the wireless networking Antichrist.) 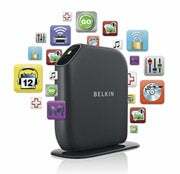 Belkin's full-band video speeds are good enough to move even meaty media and engineering files. Also, the Play self-installs a decent bunch of apps that allow for some slick router tricks. Our favorite? The Print Genie, which lets you print directly from anywhere in covered zones, opens the door to all sorts of computer-free imaging. Admittedly, we are a bit skeptical about Belkin's claim that its wireless networking is self-healing; you will spend some time fixing it--and installing the software. But for $99, you get a blazing fast wireless network. And that's an infrastructure you can love. You may have noticed a trend here: All the fancy-schmancy media devices aimed at consumers moving media files make for some serious small-business tools. 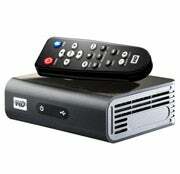 Take the Western Digital WD TV Live HD Media Player. It nominally pumps out Full-HD, 1080p-resolution video, but it is also a network media device fully compatible with Windows 7. 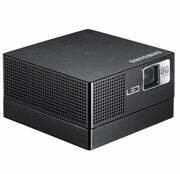 It works with your PC's and your TV's USB drives--heck, it even has an HDMI output. Done right, any file is available on any computer or display in your home or office. Impressive. The touchy-feely consumer vibe will take some getting used to, and Western Digital dings you for an extra outboard Wi-Fi card if you want to go wireless. But once you get the hang of the WD TV Live, basically any piece of content anywhere within range is accessible. And that is oh, so handy. Remember Eastman Kodak and its little yellow film box? Well, the Rochester, N.Y.-based company has reinvented itself as an imaging giant and taken aim at the small-business market. Rolled out earlier this year, the company's new All-in-One ESP Office 6150 Printer brings together all the usual printing, scanning, faxing and copying functions, but tries to do it at far lower cost than its rivals. Kodak's secret? Cheap ink. The company claims its cartridge saves something on the order of $100 per year. Your results will vary by how many photos you print, what your black-and-white usage is and how many weird variables you have, like faxes. But you get the idea. 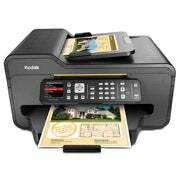 And not surprisingly, Kodak also made a nice little printer here: Wi-Fi and Ethernet are built in, with direct printing support for BlackBerrys, iPods and iPhones. We liked the high-capacity tray that holds up to 200 pages. Documents print at 32 black-and-white or 30 color pages per minute, and the machine can copy 27 pages per minute in black and white. This unit will not replace a legit laser printer with true penny-per-page cost to own. But for a reasonable outlay, you get a good-looking, high-quality model that can save you money over a similar ink jet. Who couldn't use that? Whoa! Are we really using the words "Microsoft Windows" and "free" in the same sentence? Yes, friends, we are. And it's true. Though it gets absolutely zero media love, Microsoft quietly gives away entry-level versions of its software online. 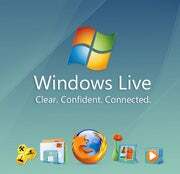 Called Windows Live Desktop, the newly launched service offers decent versions of Microsoft Word, Outlook and PowerPoint, as well as updated versions of Hotmail, MovieMaker and other media tools online, gratis. Now, you will miss the full features of Office 2010, and don't expect the bells and whistles of, say, Google Apps. But if you're looking to sign up for the Web revolution in a no-muss, no-fuss fashion, than set up a Microsoft Live ID and get started. It's a great value in small-business software. Yes, there's a place for Apple in the startup world, but you have to be smart to find it. Why? Apple gear is just not cheap. For the price of the laptop you lust after--that is, the $1,800 MacBook Pro--we've been able to buy a 14-inch laptop, a 20-inch monitor, a router, some network attached storage, a printer, some office software and still have money left over for a mobile phone--and maybe a latte. Anyway, that phone is where you go Apple--specifically, the iPhone 4. This latest model sets the new bar for touch-based smartphones for the small shop. Its ridiculously high-quality screen, HD image output and, most important, multitasking, make this one serious work tool--particularly when complemented by the right apps. The only knock on this device is the beehive of debate over network quality and voice service. Consumer Reports went so far as to ding the phone for dropped calls. So give it a solid demo during the 15-day return period. And if AT&T is not up to the networking task, return the unit. Keep in mind that millions do use the iPhone successfully. 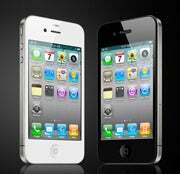 Assuming call quality is there and you don't need a keyboard a la the Blackberry, the iPhone 4 is still a good bet. Psst. We'll let you in on a little entrepreneurial secret: To make money you have to sell something. And whatever you can do to get a presentational sales edge is worth every penny, right? Well, Samsung now is doing a heck of a job with a palm-sized, 6-ounce pico projector--that's geek-speak for a really small device that can project an image on any wall. The HO3 comes with its own 1 GB of internal memory, an up-to-16-GB microSD slot and a Windows-friendly operating system. Which means it can hold a simply huge PowerPoint presentation and render it in bright, high-resolution images with no computer. So, you really can do your elevator pitch, complete with visuals, in an elevator. The company claims an 80-inch maximum display size, which is technically true in a completely dark room--as though anybody sells inside a closet. And the minimal, two-hour battery life can be a pain. But you can expect to project a reasonable 20-ish-inch image, which is more than enough, in a bright room and stand next to the clients instead of standing in front of them with your laptop--which, trust us, is a major improvement. Plus, the HO-3 is a great way to make friends on a flight with no movie; seat backs make excellent screens. If there is an Achilles heel in your marvelous new office on the go, it's the power it takes to run all that stuff. Vendors love to make hay about their excellent battery life; but forget to charge something overnight--and who doesn't?--and you are plain out of luck. 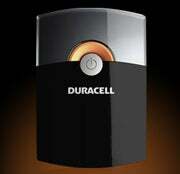 That's why we recommend Duracell's line of backup USB chargers. The biggest and baddest, the Powerhouse Charger, can charge two devices at once and offers something on the order of 60 extra hours of usage. Just plug it into any USB-enabled device--like your laptop--charge it up, keep it in your bag as a backup and know you can always get connected. Which probably makes this item the handiest device you can carry. Now that the serious stuff is out of the way, it's time for some fun: injecting the right musical vibe into that business atmosphere of yours. 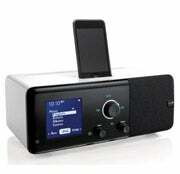 And when it comes to quality desktop radios with a professional edge, we like Somerville, Mass.-based Cue Acoustics. Its Cue Radio Model r1 not only offers high-quality audio with impressive low-end sound quality, the system also has a great touch-based control system -- and if you order the Hospitality version, the company will encode your company logo into the r1's electronic display. Surprisingly slick looking, particularly for the retail shop, the unit is aimed mostly at iPod/iPhone users, but most standard audio inputs are supported, too. There's a reason the Army brings along a band. Good music keeps you, and your people, moving. During a long day or night, when things go south, those background tunes can really make a difference. "We Are the Champions," anyone?